If you consider yourself a gourmand in India, no name can evoke anticipation like that of Chef Hemant Oberoi. He is known for so many commendable deeds, as master of fusion, the Taj’s only ever grand-chef and probably the first person to ever introduce the Indian palate to the intricacies of fine-dining. So it has been with bated breath that the country awaited the launch of his eponymous flagship eatery, and now that it’s been unveiled, it has proven to be all that we could have hoped for and more. Set in a 3,000 square space in Bandra Kurla Complex, it is evident that Chef Oberoi has put all his 40 years of experience in the business to good use. 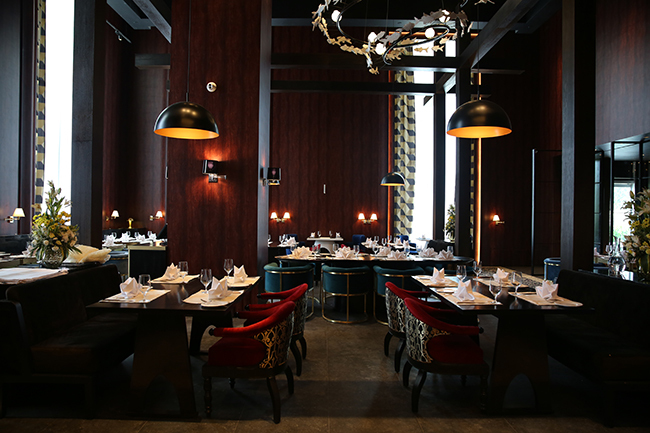 The interiors hold an old world charm, the mahogany coloured walls which evoke a timeless sense of luxury. His collaboration with architect Ashiesh Shah stands in contrast to this, Shah being known for his contemporary designs. But somehow the two tastes fuse perfectly metal and woods offset each other while highlights of red, black and emerald green maintain the balance. One of the most striking features in the space is the light installation by Shailesh Rajput. 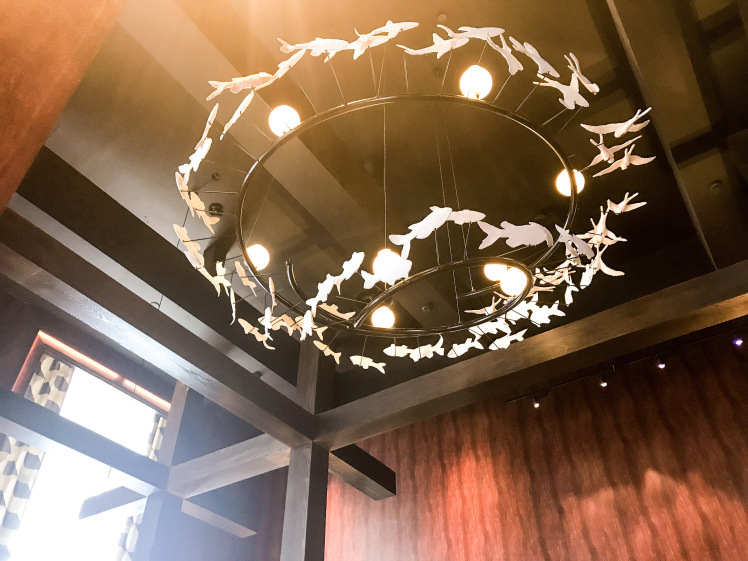 The bright joyous piece hangs high in the centre of the room with white fish and birds coiling delicately along the woven metal vines. 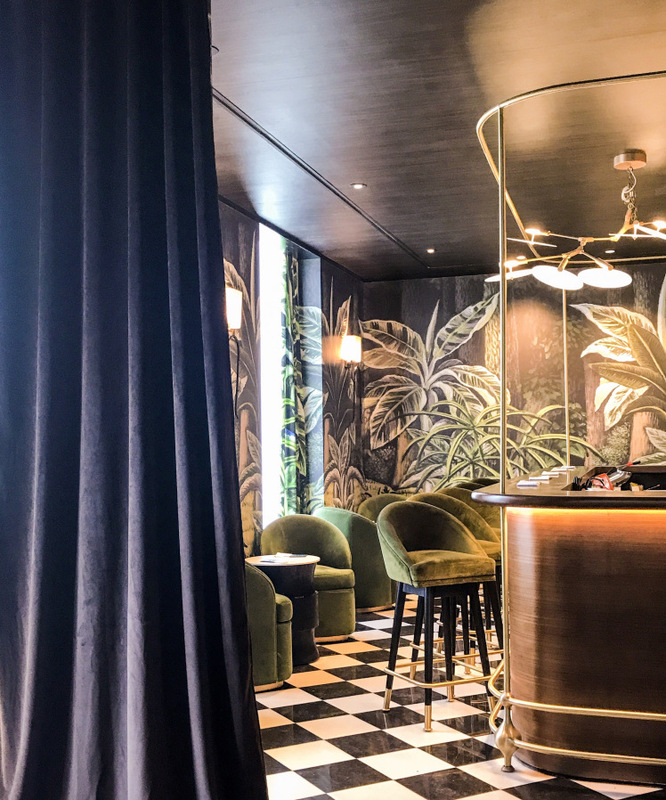 This beautiful space may harken back to a now-forgotten era, but there are plenty of small elements across the restaurant that exhibit traits of modern design. The two worlds are in perfect symphony here, neither struggling to be heard above the other, much like the menu in which modern cuisine and traditional techniques both have their place. This promises to be yet another feather in Chef Oberoi’s cap, a cap that he is clearly in no hurry to hang up anytime soon. Previous articlep.s. – you don’t have to hang your art!